Pointing to plots of green manure crops at the Ian N. Morrison Field Research Farm in Carman, researcher Joanne Thiessen Martens says this is where it all begins when it comes to organic production. But while it’s legumes that fix nitrogen, they can’t do it alone or at least not as effectively as they can with a little help from other plant species. Green manure mixtures at the research centre include pea and oat, pea and soybean, barley and hairy vetch, barley, oat and fababeans, and chuckling vetch with barely and soybeans. “We often plant our green manure crops in a mixture, with a legume and a cereal, sometimes we do more than one legume together, sometimes we do more than one cereal, but generally it is at least a legume and a cereal together,” Thiessen Martens said, adding there are several good reasons to considering adding a cereal to the mix. “One reason is that you get quicker ground cover in the spring, it also provides more carbon in the mixture, which balances the decomposition rate,” she said. Cereals also provide a trellis for climbing legumes, allowing for more airflow in the canopy and reducing the likelihood of disease. Cereal crops can also encourage legumes to fix more nitrogen by “mopping up any free nitrogen that’s in the soil,” while also enhancing phosphorus uptake in some circumstances, the researcher added. The only real way to see if a green manure mix is accomplishing its task, is to get into the field, pull out samples, and take a look at how each plant species is progressing. Cultivars that dominate legumes should should be avoided in green manure mixtures. “It’s something to consider when planning your mixture, if something in your mixture is less competitive than the other, it will probably not thrive in that mixture or you are going to have to bump the seeding rate of that plant up a to higher level,” she explained. The exception to that rule would be something like a barley and hairy vetch mixture, where the green manure will be rolled to kill off the oats midway through the growing season, she said, adding time is another key factor for producers to consider when planing their green manure mixture. “That barley will die when it’s rolled, the hairy vetch will continue to grow. And so you need to take that under consideration when you are planning your green manures,” Thiessen Martens said. 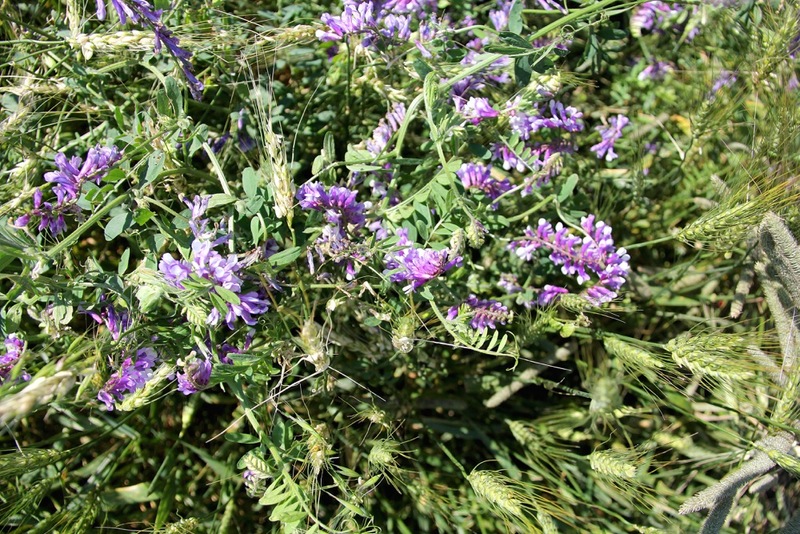 “But if you have a long window and a way to manage annual weeds … then hairy vetch can be a very good fit if you want to fix a lot of nitrogen and have a long season green manure,” she added. Lab testing can be used to determine exactly how much nitrogen is being fixed, but isn’t really necessarily. Thiessen Martens said there is a rule of thumb to go by, if you consider three main factors. 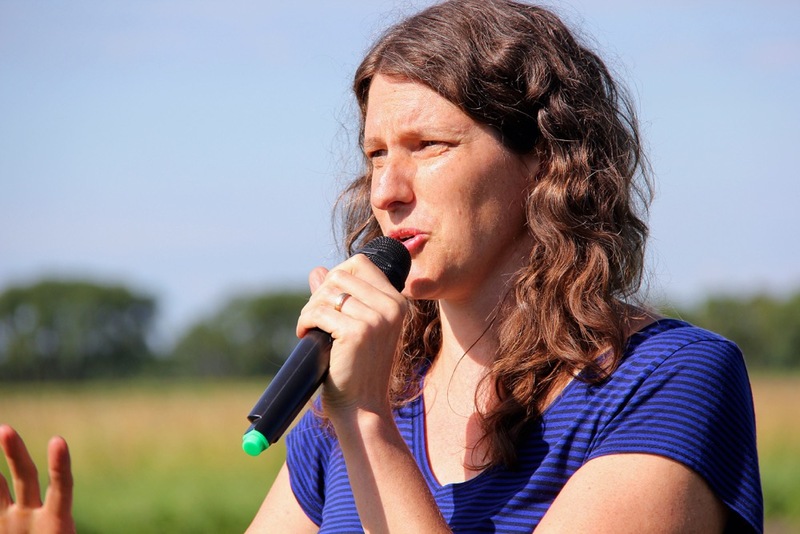 “If your soil nitrogen was relatively low at the beginning of the season, if your green manure biomass is a least 50 per cent legume, and if your legume is inoculated properly and fixing, then you can estimate that you’ll get about 25 pounds per acre of nitrogen for every thousand pounds of green manure biomass,” she said. The higher nitrogen levels are, the more quickly decomposition will begin, making fairly readily available to the next crop — so readily available that Thiessen Martens suggesting considering a cover crop to prevent nitrogen loss in some cases. If nitrogen is being released too slowly, grazing, mowing and even tillage can be considered to speed that release up, she added.